Sue, Mike and Steve. ‘A Very Happy and Blessed Christmas ‘. 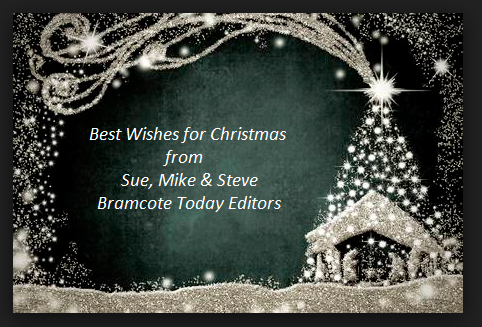 Thank you for your constant and impartial management of Bramcote Today. Best Wishes for the New Year.